Should I buy a travel system or separate car seat and stroller? So, for us, this was the first big question. 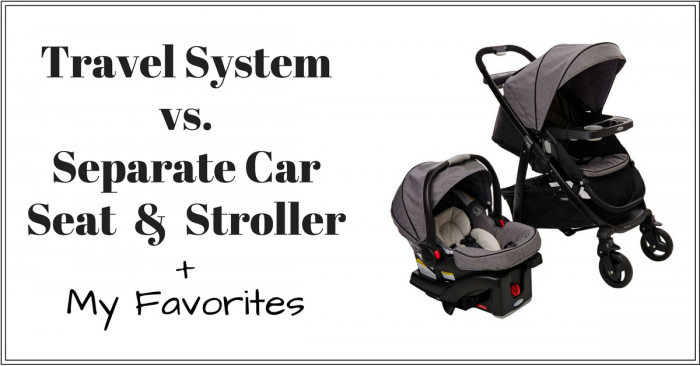 Travel system vs. separate car seat and stroller. I knew I wanted a stroller that would allow me to take the rear facing infant car seat out and attach it right to the stroller frame. I mean, who wants to wake up a sleeping baby to get them from the car to the stroller?! NOT ME. Ideally, I also didn’t want to have to disassemble the stroller to get the infant car seat in it. I really wanted to be able to leave the stroller seat in while the infant seat was in. You just never really know what you’ll need when you’re out and why make extra work and store extra parts for later. I just didn’t like that idea. Now, the stroller would be lighter without the stroller seat in it but for me, this really isn’t an issue. The stroller isn’t that heavy all together and aside from taking it in and out of our SUV and the occasional stair lift; I didn’t need to be that concerned with weight. I mean, I wasn’t going to benching it or anything. I find it to be a practical weight even when it’s all put together and I’m not a big person and my arms have yet to reach the coveted “mom of a toddler” stage where they’re ripped simply from picking up a too-large-to-carry child. Stroller car seat combos, called travel systems, come with everything you need from infancy to toddler and pre-school. The infant car seat will take you up to 25-35 lbs and then you can transition to the flat bassinet style seat and progress to the standard upright seat for toddlers and pre-schoolers. The downside is they tend to be a bit larger. 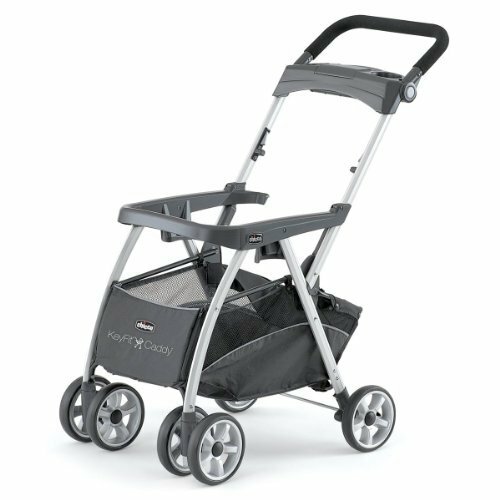 If you live in the city or need to navigate a lot of stairs or tight places you might not want a stroller travel system. You also commit to your toddler stroller before you have a toddler so do research on what you need in a stroller before picking your travel system. The other option is to buy a separate car seat and stroller. You can get either a stroller frame that will hold your car seat or something completely independent that will not hold an infant car seat. There are several stroller frames that work with various car seats which does give you some options but almost all of them require you to buy extra parts to attach the infant car seat to the stroller frame. This tends to be cheaper initially because frames are inexpensive. Thdownsidede to stroller frames is they become obsolete after you child gets to about 25-35lbs (9-12 months) when most babies transition out of their infant car seats. You can also find standard strollers with attached seats that will adapt to hold an infant car seat giving you similar usability to a travel system. This gives you a build your own travel system basically. The main issue with this is you may also need an attachment kit for the infant car seat and you are limited by which car seats and strollers work together. This can be a tedious task and end up limiting your combinations pretty quickly. So, should I buy a travel system or separate car seat and stroller? With a travel system, safety is #1 priority. You’re getting your car seat and stroll all at once so you want each part to be safe for their purposes. My biggest concern was the car seat safety because you could potentially have no control over when something terrible might happen. Stroller accidents seem more user error or freak accident. So I started by looking for a highly rated car seat and using that to narrow my search. Car seats are highly regulated and tested so you will have a lot of safe options. Next, you should consider the price. There are TONS of travel systems in all price points. Narrow your search to what’s reasonable for you. Next, determine the type of stroller you want. Are you a jogger, shopper, traveler? Will you be using it on pavement and smooth floors or are you often on uneven, unstable ground (like in the country)? This will help you determine if you need 3 or 4 wheels. 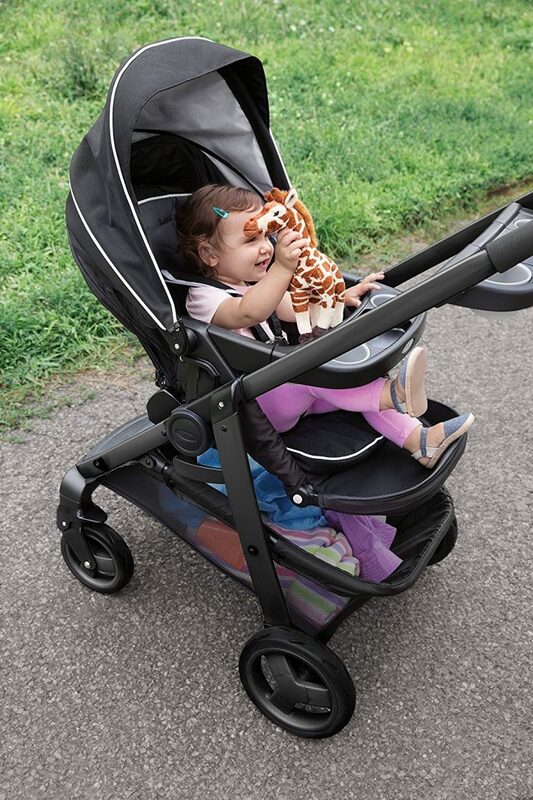 3 wheels strollers are good for jogging but can be tippy on the front. On the flip side, 4 wheel strollers are more stable but not good for jogging. Large rubber tires are good for uneven ground, where plastic tires will work for solid, smooth ground. I’m a 4-wheeler. Not like the ATV, I like 4 wheels on my strollers. They have more stability and I actually think they handle better in tight quarters. I also NEVER run. Like, never ever. And if I did, it would be in the privacy of my own home on our treadmill (or as my husband likes to call it, our clothes drying rack). At no point in my life will I need a jogger. I did, however, want nice wheels that would last. We live in the suburbs but on a river and we have 2 cabins in the family. We will need to take the stroller on gravel roads. This meant I narrowed my search down to a travel system with high safety ratings, 4 wheels, and large rubber tires. From there I needed to determine what extras I needed and wanted in a travel system. I wanted to be able to have baby facing me while he’s young. The Graco Travel System we went with (here) has a ton of positions with and without the infant car seat. 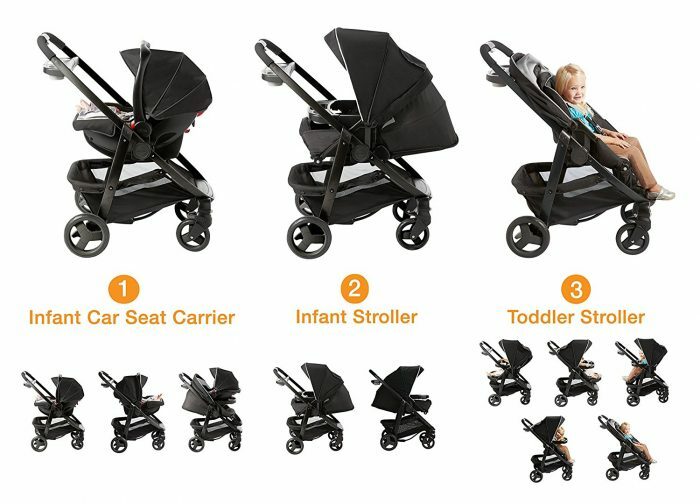 This picture shows the positioning options as an infant car seat carrier (the third is how we use it), as an infant stroller facing you or facing out, and as a toddler stroller facing you or facing out, reclined, and adjusted for child size. 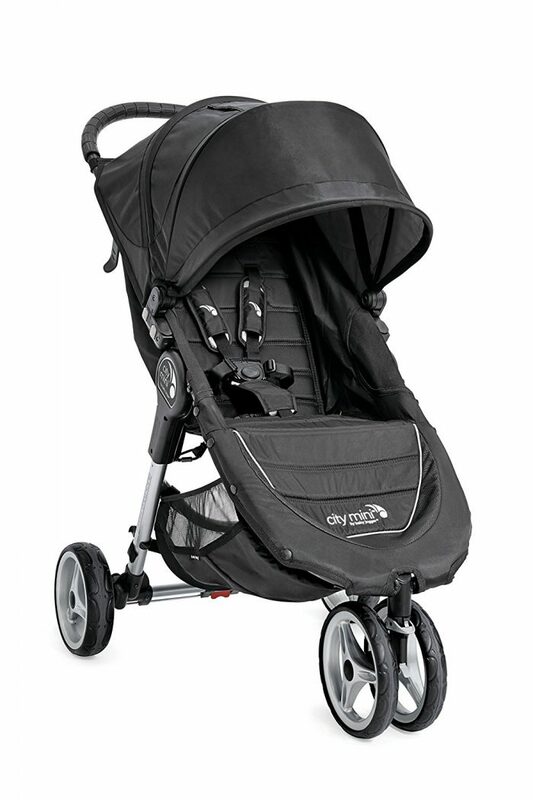 What do I need in a travel system stroller? Everything else is basically for convenience. A big must is easy one-handed folding and set up. For convenience and safety, you want good wheel locks. 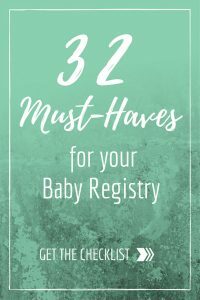 You’ll also want a large basket under the stroller for carrying your massive diaper bag, shopping bags, food, beverages, coats, and basically anything else you could ever think of. Cup holders for you and eventually your toddler are a must. A small covered compartment for things like a garage door opener, keys, etc. is nice to have when you don’t have pockets and are going for a walk without all the baby gear. Some people like hooks for their diaper bag to hang it from the handle. I don’t find that necessary or practical (who wants to walk with a big huge bag hitting them in the thighs and making the stroller back heavy) but to each their own. Another thing to think about is how many cars you’ll need to work with the car seat. We have 2 cars and planned to use both for baby. 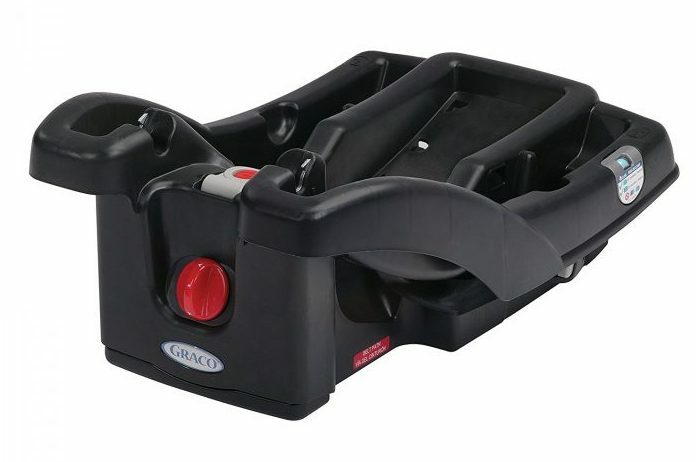 We purchased an extra car seat base for out Graco SnugRide Click Connect Infant Car Seat. 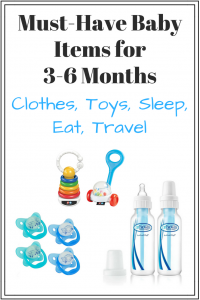 Keeping all of this in mind I choose the Graco Modes Click Connect Travel System Stroller as the best stroller travel system for 2017. It has ever feature listed above (except the handle hook for the diaper bag but you can purchase that separately) plus high safety ratings at a super affordable price. 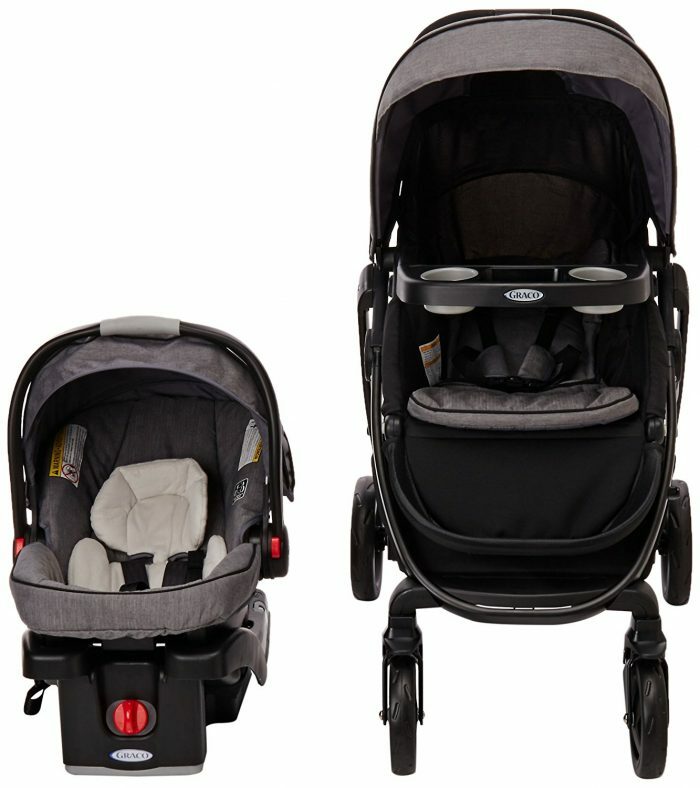 It also comes in the 3 wheel Graco Modes Travel System style or the 4 wheel Graco Modes Travel System style which we have. Plus, both styles come in tons of color options, we have the Downton color. 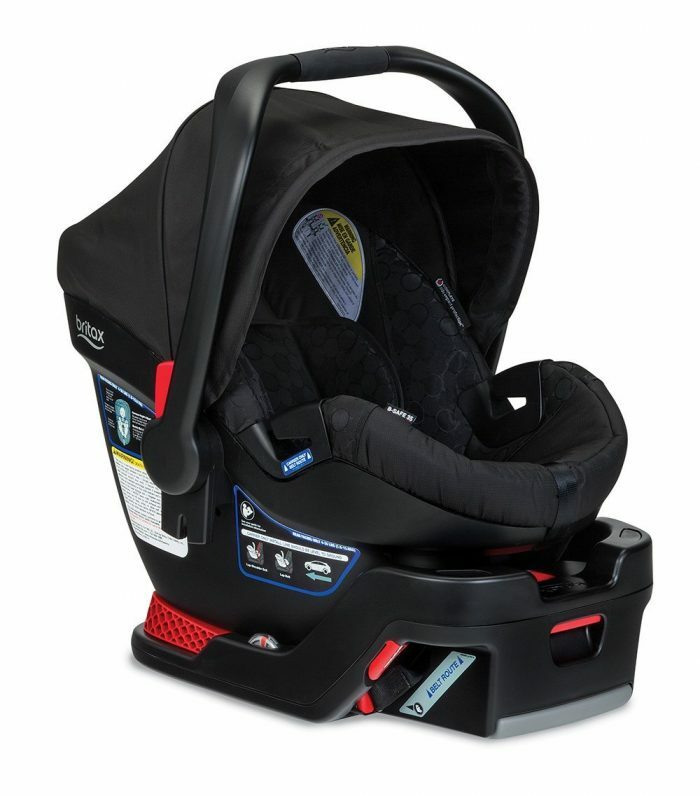 When we purchased ours I went to a Babies ‘R’ Us to test it out in store and make sure I liked the maneuverability and the ease of use (taking the car seat in and out, folding it down, adjusting the seat back, etc.) I also tried a 3 wheel stroller and the 4 wheel stroller and a few other brands. I then went online and found it for the cheapest price in the color we wanted. Amazon is generally $50-$100 cheaper than baby stores. Plus some colors you can get on deep discount when they are retired!! Regardless, the Grace Travel System was hands down the winner. We still use it regularly and love it to this day! In the travel system vs. separate car seat and stroller debate, the winner is stroller car seat combos, or “travel systems.” They truly make the most sense unless you live in the city or take public transportation often with your child. They might cost a bit more upfront but end up being more affordable in the end because they last you longer. As long as you do research on the best stroller travel system (and I’ve basically done the work for you 😉 ) you’ll love your pick for the long haul! This Graco travel system stroller and car seat combo has all the key features you look for in the best stroller travel system! Just pick from the 3 or 4 wheel options, select your color, and you’re good to go! What did you look for when selecting the best stroller travel system or separate car seat and stroller? Interesting take, Maria! You have 2 strollers and an infant car seat for your baby? What made you decide to buy both? It’s so difficult for new parents to figure that and a million other things out. That was very helpful! Hi, Veronica! Thanks for much for stopping by. I’m glad you enjoyed the post! Preparing for baby is such an overwhelming time. 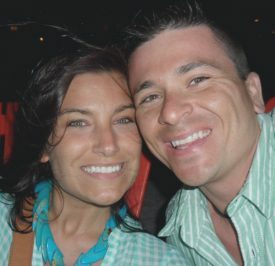 I’m happy to help others sift through their options and make the best decision for their lifestyle! 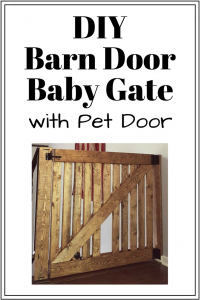 Hope you enjoy the blog. Feel free to subscribe (on the right side) to get alerts when my new posts are up! Very informative article. My only question is, how do you like the Snugride carseat? 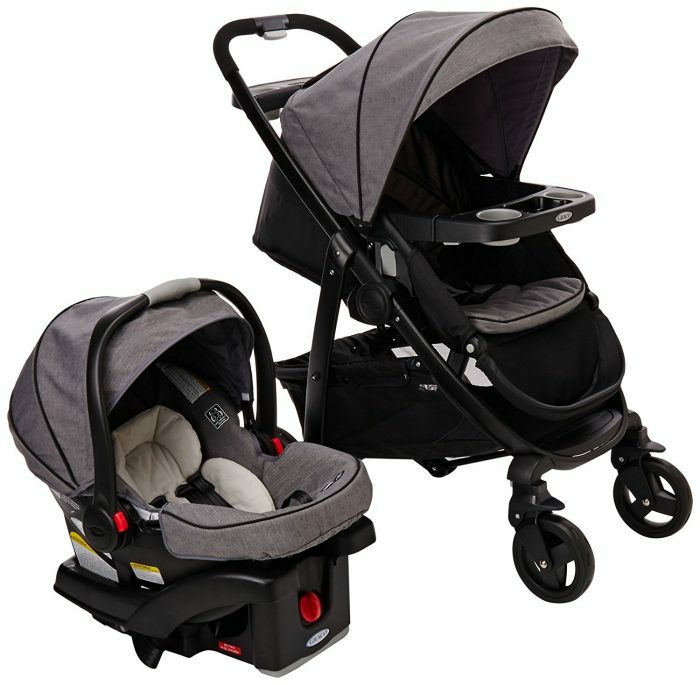 We are having our first baby and I am torn between the Chicco Bravo/Keyfit carseat and the Graco modes/Snugride. I love all the features and different position of Modes, but I feel like the Chicco car seat has better reviews than the Snugride. What are your thoughts? Hi, Bailey! Thanks for your question. They both have high safety ratings with is most important but we really like the Graco Snugride Infant Carseat. 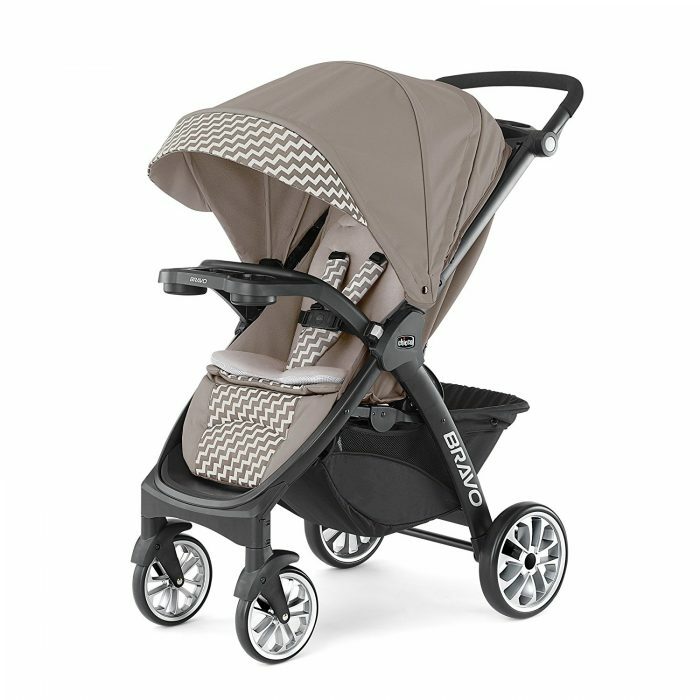 It’s lighter than the Chicco, and can be used longer (32″ vs. 30″ and 35lbs vs 30lbs). It’s also super easy to install (took my husband no more than 10 minutes), easy to tighten and loosen while in the base (and out), and best of all… my son likes it, even on long trips! I have no negatives after 9 months of use. Either is a good choice but I prefer the Graco! Awesome post. Much obliged to you for sharing. It’s so troublesome for unseasoned parents to assume that and a million different things out. That was extremely useful..! Thanks for the article – this is one of my biggest questions so far (12 weeks pregnant)! For me the only reason I wouldn’t but a travel system (I think!) is that the car seat itself is only good up to 30-35 lbs, right? Then presumably you have to buy a new car seat for your toddler that can grow/expand as they do? Thanks for the question. Yes, you would need to buy a second car seat after they outgrow the infant one that comes with a travel system. We made the switch at about 11 months but we could have used it longer. The reason we made the switch when we did is a convertible sits up a little higher and offers a better view for older babies. We have this one because it transitions to a forward facing, and booster seat. We won’t need to buy anything else. this one. For us, it was 100% worth it to have an infant car seat because you can move them while they are sleeping without waking them. It’s also so much easier to take them places in the car seat when they are really little. In the winter it felt safer carrying the baby in the car seat in case of a slip and it also kept him warmer. At about 7 months I started letting him sit in carts because he could easily do so on his own but up until then, I used the car seat in a cart. If you didn’t have an infant car seat you would need a baby carrier to do your shopping. It really comes down to personal preference there. Would you rather use a car seat in a cart or wear the baby? We do have a baby carrier as well but we only used it at festivals, fairs, and now for hiking on our backs because he is older. So many options! I hope this helped you out a little bit. Thank you for sharing your experience, your comments have set me on a path to shopping for a travel system.